This expression means that justice is impartial and objective. 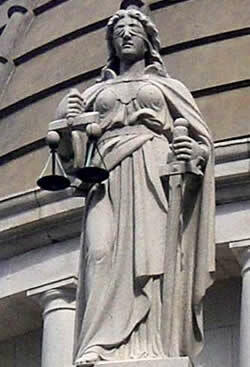 There is an allusion here to the Greek statue for justice, wearing a blindfold so as not to treat friends differently from strangers, or rich people better than the poor ones. No matter who you are, you must respect the law. Justice is blind!